Digital tools and analytics, when applied correctly, offer a powerful way to accelerate sales growth. Mckinsey confirms companies who get their sales analytics right typically see 5-10% growth within a year. 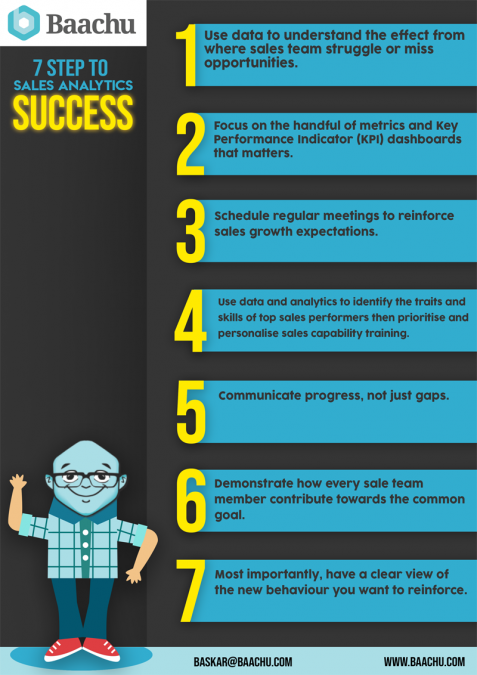 From my experience, seven actions are critical for any success in leveraging data analytics in sales transformation.